Eiji Kojima is Chairman of Sumitomo SHI FW. 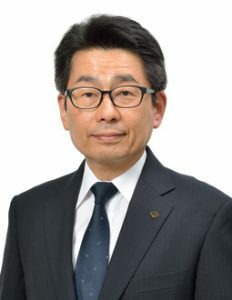 He is a board member of Sumitomo Heavy Industries (SHI) and Senior Vice President (SVP) in charge of the Energy and Environment Business Group of SHI. Prior to his current role, he was SVP in charge of the Mechatronics Division, gaining valuable experience and further enhancing his management career. Prior to the division, he had worked for the Research and Development Center of SHI. Eiji Kojima is a graduate of Tokyo Institute of Technology with a Master’s Degree in Control Engineering.